This topic will help you decide which template is the best choice for your app’s default Tile on Windows Phone. Knowing early on which template complements your default Tile can mean you’ll need to do less to maintain your app later. For instance, default Tiles can’t be created or deleted programmatically, whereas secondary Tiles can be; if you choose to use change your default Tile template, you’ll need to resubmit your app. There are three Tile templates available to you – flip, iconic, and cycle. The flip template provides two surfaces in medium and wide sizes to give users lots of info. 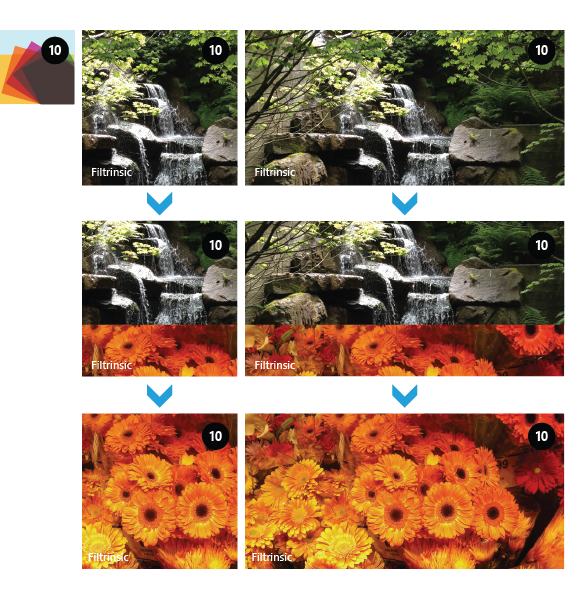 For more info about flip template design, see Flip Tile template design guidelines for Windows Phone. The iconic template displays an image in the center of the Tile, and is designed to reflect the Windows Phone design principles. Weather apps—they could work as simple weather icons, but you can’t use the count for temperature because it can’t show negative numbers. For more info about iconic template design, see Iconic Tile template design guidelines for Windows Phone. The cycle template cycles through individual images (1–9) in the Tile. Album art for currently playing artists, songs in a playlist, etc. A nine-day weather forecast app could work, but images being zoomed and cropped may appear strange in the cycle template. Also, the current forecast temperature may appear in a rotation consisting of up to nine images – this isn’t ideal if you want quick info delivery on the Tile. 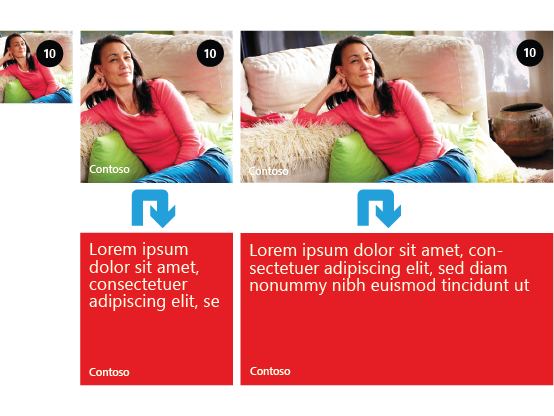 For more info about cycle template design, see Cycle Tile template design guidelines for Windows Phone.